South Park is a great place for today’s generation, after its multi-million pound Heritage Lottery Funded restoration project. It was the first Victorian Park in the North East of England and was opened to the public in 1853 as Belasses Park. Its size has increased to its present 91 acres and the superb restoration work has added new sensory, rock and rose gardens to the existing award-winning displays. 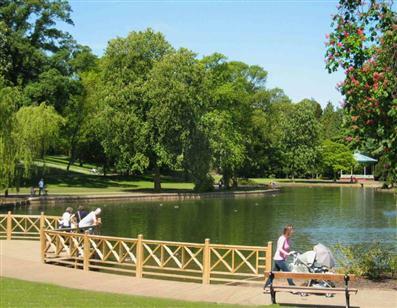 You can also enjoy a splendid lake, bandstand, new play areas, skateboard park and seasonal bistro-style café. Educational facilities in a new, purpose-built extension to the Park Lodge welcome school groups to this wonderful example of a municipal park.